Welcome to a new challenge here at Twist of Faith! We are so excited that you're visiting us today!! 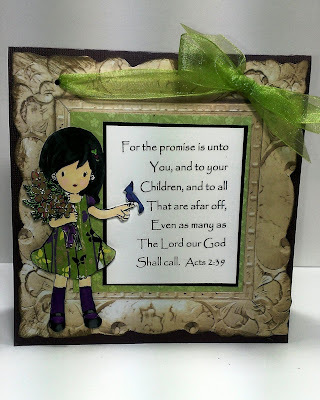 Who we are: We love to make cards and our "twist" is that always add a scripture, positive quote/verse, or uplifting quote. We want to not only share our joy of making cards, but also encourage others with those cards. You never know whose life you can touch with a card. It would mean so much for you to join us this week! Congratulations Tamara!!! Be sure to contact Pauline using the email to the right so that you can receive instructions for redeeming your prize. 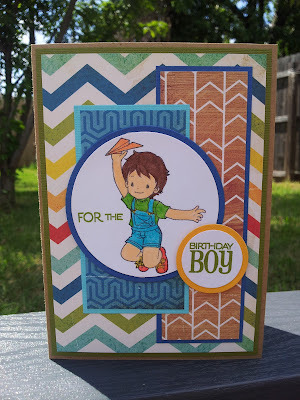 This weeks challenge will incorporate Children in the card design. The card a can be for a child or just have the image of a child on it! 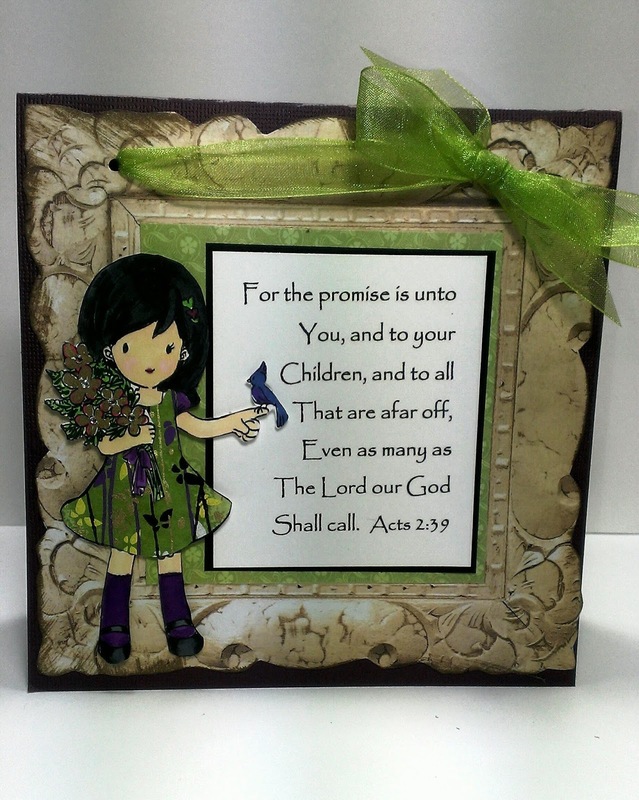 And of course the card needs to include a scripture, uplifting quote/sentiment, or positive verse. Tracey using "Charlotte with Flower and Bird"
Zella using "Let's Go Fishing"
We hope that the cards our Design Team created inspired you to create a card inspired by Children - but don't forget to include a scripture, positive verse/quote, or uplifting verse. We look forward to seeing your creation! Oh wow! Thanks for choosing my card as one of the Top 3! I so appreciate it. God bless! What sweet cards and precious sentiments. Thank you for the Top 3 selection! So excited to have won! Thank you so much! Congratulations to the winners! Great job! Thanks for another fun challenge. Karen I love your card. I am going to try and find you on FB...Hugs..